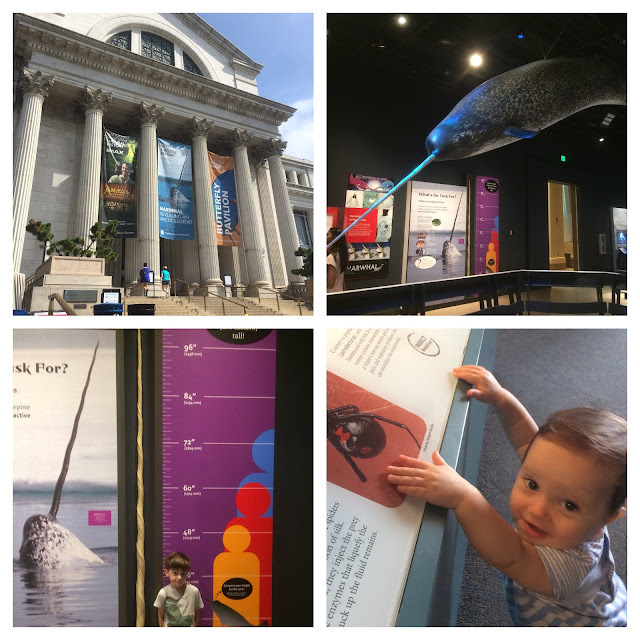 As summer winds its way down, we've been enjoying our days and some great weather, getting out to some old favorites and scoping out celestial celebrations. 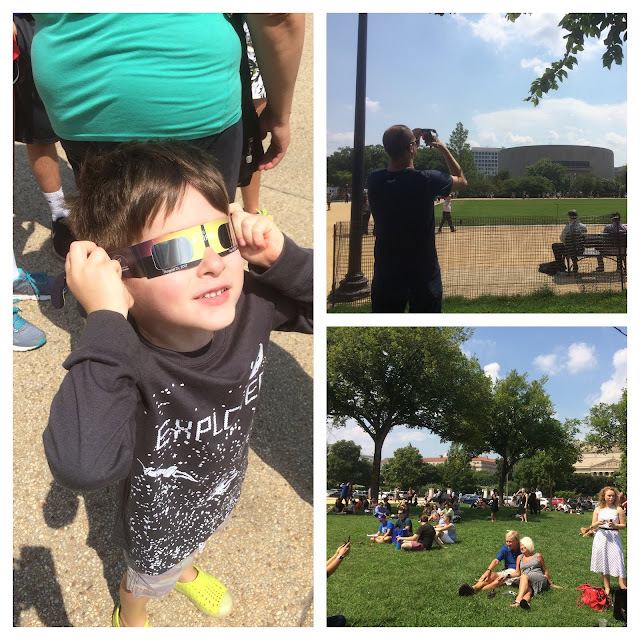 Like everyone else in America, we stopped everything and watched the eclipse Monday, with hundreds of others on the National Mall. It was really cool to experience the lifetime event with fellow Americans who stopped their workdays to watch too. On Tuesday, Henry asked if we'd be heading out to view it again. Oh, that was hard news to deliver. 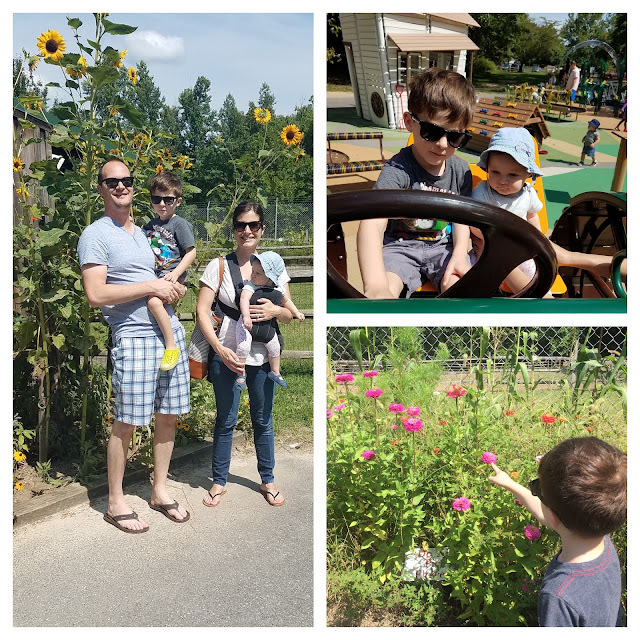 On lovely weather days, we often find ourselves outside somewhere--at the park, in our backyard area riding bikes, or at the Botanical Garden, a favorite of Henry's. 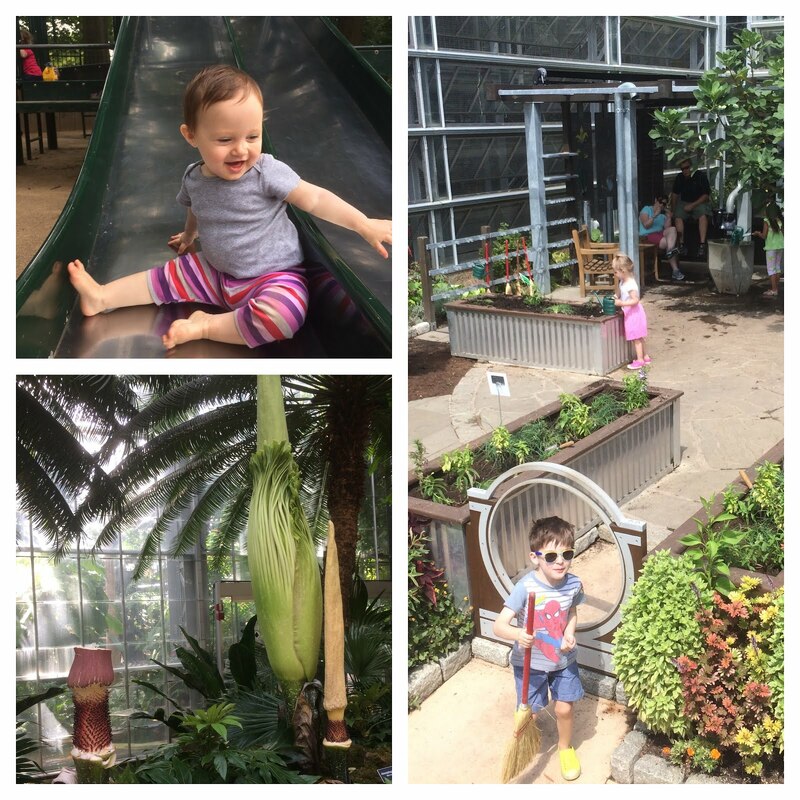 Most recently, we were treated to a viewing of the corpse flower. I've heard about this flower and know the Fullerton Arboretum even has one, but it was my first time really getting up close and personal with the stinky bloom. And, well, it lived up to its name. It's enormous and smelly and certainly does a good job of mimicking the stench of rotting meat to attract beetles and flies. 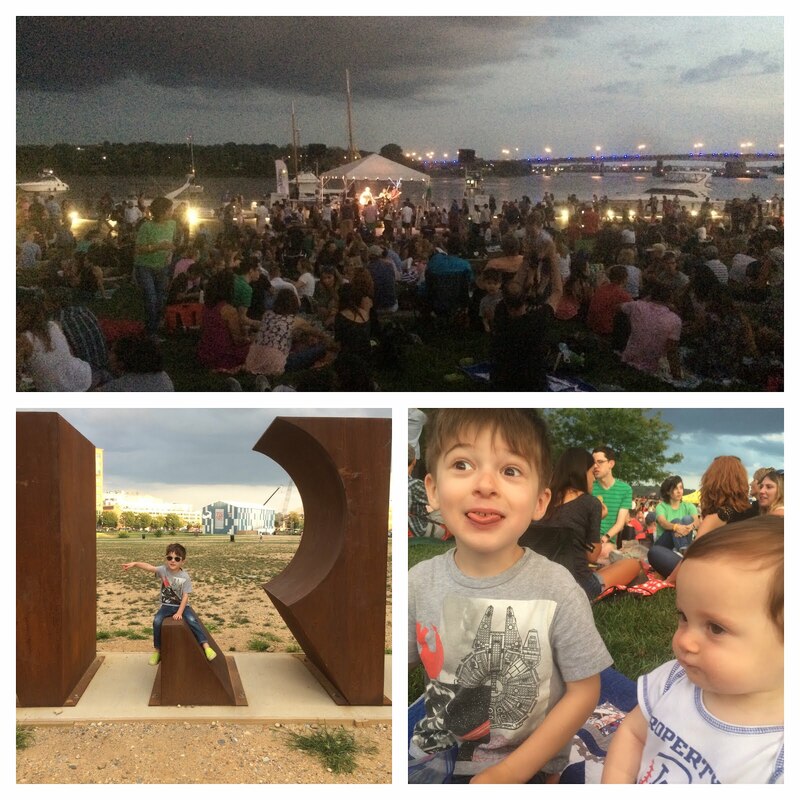 On Friday nights in the summer, Yards Park, which sits on the Anacostia River, holds concerts in the park like many cities nationwide, and we FINALLY made it to one because every Friday, without fail, has been in the upper 90s with really high humidity. As previously mentioned it was a beautiful week and we finally got out there to enjoy the atmosphere, drinks (Fullerton, take note) and food available with live entertainment. It made for a really fun night out with the kids. This weekend we took Scott back to Watkins Regional Park and explored the grounds a bit more. I can feel hints of fall in the air and while September can be a rager with heat, am very excited at the prospect of sweaters and boots in the near future.